Traffic in Vienna is regulated by approximately 1,300 traffic signal systems. All Viennese traffic signal systems are illuminated using energy-efficient LED technology. In fact, traffic lights are a key factor for a smooth traffic flow. Traffic lights with pedestrian recognition and a holistically interconnected traffic light system help to make traffic smoother and more efficient in Vienna. Additionally, through weather and environmental sensors that are mounted to Viennese traffic lights, a dense grid of measuring stations is formed, which provide valuable data for diverse applications. 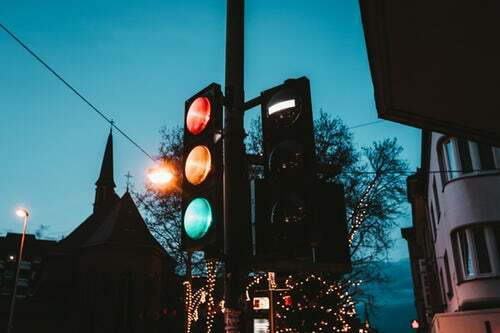 The University of Technology in Graz and Vienna municipality have developed a traffic light system that recognizes persons as well as whether they are planning to cross the street. The equipment prevents unnecessary waiting times and thereby improves the experience of walking in the city. Networked traffic lights allow the reaction to the actual traffic situation and improve traffic flow. Traffic jams are resolved more quickly, and emissions reduced. The information is passed on to GPS systems so that they can adjust driving speed recommendations and facilitate using green waves. Vienna’s traffic lights measure temperature, humidity and even nitric oxide, sulphur oxide and noise pollution.